This website uses tracking software to monitor its visitors to better understand how they use it. The software will save a cookie to your computer’s hard drive in order to track and monitor your engagement and usage of the website, but will not store, save or collect personal information unless you are a contracted client which is rarely more than business details we will need for tax and invoicing details. We do not advertise any third party websites at all throughout this website. We may link to a third party website but no money is ever changed hands. We rarely reference downloads or media files from a third party website. We do not promote any third party website but we may reference one if it’s relevant to the content a user is reading. We will never reference any website that requests any personal information from you at the time of uploading the relevant content, we cannot be held responsible if any website has made changes after submission date. Users contacting us through this website do so at their own discretion and provide any such personal details requested at their own risk. Your personal information is kept private and stored securely until a time it is no longer required or has no use. We rarely store any personal information other than a name a user has provided, an address along with a phone number and/or email address that a user has willfully provided. We only use Google Suite to store this basic information. We do not add you to any mailing list unless you have wilfully added your own details to our clearly labelled page marked as a marketing list subscription. Our direct communication via our contact forms or email address is not added to any marketing lists. We will not contact you unless it is relevant to you. We only store invoicing and payment details for the legal amount of time required for tax reasons. We use an online accounting software that is based in the UK. 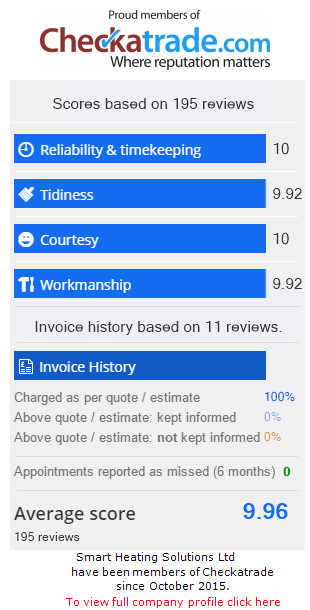 It is only the Director, Operations Manager and our Chartered Certified Accountants who have access to this data which is wilfully provided by our contracted customers/clients. We sometimes operate an email mailing list program, used to inform subscribers about products, services and/or news we supply/publish. Users can subscribe to an online automated process where they have given their explicit permission. Subscriber personal details are collected, processed, managed and stored in accordance with the regulations named in ‘The Policy’ above. Subscribers can unsubscribe at any time through an automated online service, or if not available, other means as detailed in the footer of sent marketing messages. The type and content of marketing messages subscribers receive, and if it may contain third party content, is clearly outlined at the point of subscription. Although we only look to include quality, safe and relevant external links, users are advised to adopt a policy of caution before clicking any external web links mentioned throughout this website. (External links are clickable text/banner/image links to other websites). We cannot guarantee or verify the contents of any externally linked website despite our best efforts. Users should, therefore, note they click on external links at their own risk and we cannot be held liable for any damages or implications caused by visiting any external links mentioned. As stated above, we only reference websites such as Google Webmaster Blog or a leading news outlet which is relevant to the content within a page. We adopt a Social Media Policy to ensure our business and our staff conduct themselves accordingly online. While we may have official profiles on social media platforms users are advised to verify the authenticity of such profiles before engaging with, or sharing information with such profiles. We will never ask for user passwords or personal details on social media platforms. Users are advised to conduct themselves appropriately when engaging with us on social media. We will not liaise with anyone via our personal social media profiles about anything personal. There may be instances where our website features social sharing buttons, which help share web content directly from web pages to the respective social media platforms. You use social sharing buttons at your own discretion and accept that doing so may publish content to your social media profile feed or page. You can find further information about some social media privacy and usage policies in the resources section below. We do not store any password or logins for our own website, except for Admin users.